A fun way to start your day at SOS Kindergarten Lilongwe! 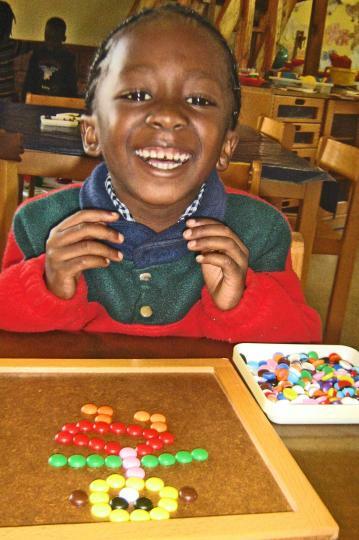 SOS Kindergarten Lilongwe draws from various child education theories to bring together an exciting, inclusive, participative yet educational environment in which children can learn set skills while discovering their creative side and not stifling that vital component of free play. Kindergarten principal Anne Kaitano recognises that free play is a vital part of every child's learning experience. 'Free play is always very exciting because children discover many new ideas, they are able to express their feelings with friends and adults, they develop language, confidence in dealing with issues, and courage,' she explains. 'The children can do whichever of the activities they choose: from painting to playing with bricks, to craft work or doing puzzles. 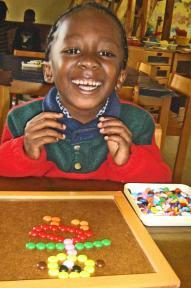 A wide variety of activities are offered to the children who can decide themselves what they would like to do. The routine and pattern of life at the kindergarten is also important for pupils who become used to a certain pattern of behaviour which will help them settle to 'big' school and later working life. New children find comfort in the routine and it helps them to settle quickly in with new friends. 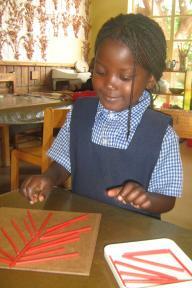 Doreen recently joined the class from another school where free play activities were not offered. She was so excited by the idea of choosing how to occupy herself. 'Doreen has gained experience, she has learned to make decisions, and she has discovered how to use her imagination. She is able to do things independently and she has also learned necessary rules of community life within the classroom,' explains Ms Kaitano.